Women's History Month: Who is Marjory Stoneman Douglas? For many, the name "Marjory Stoneman Douglas" only recently became part of the public consciousness due to the violent and tragic events that occurred in Parkland, Florida on February 14, 2018. For the past two weeks, our collective attention has (rightfully) been focused on the outpouring of support for students and their families. Despite the emotional turmoil this event has caused, the teenage survivors of the school shooting in Parkland are undeniably emerging as the next leaders in the gun control debate by creating a moment of youth activism not seen in decades. Where do these young people get their resolve? Certainly from their parents . . . and teachers . . . and friends . . . but maybe, just maybe, the ideals of courage, sincerity, and activism are part of the grit of Marjory Stoneman Douglas High School its self. After all, would a rose by any other name smell as sweet? 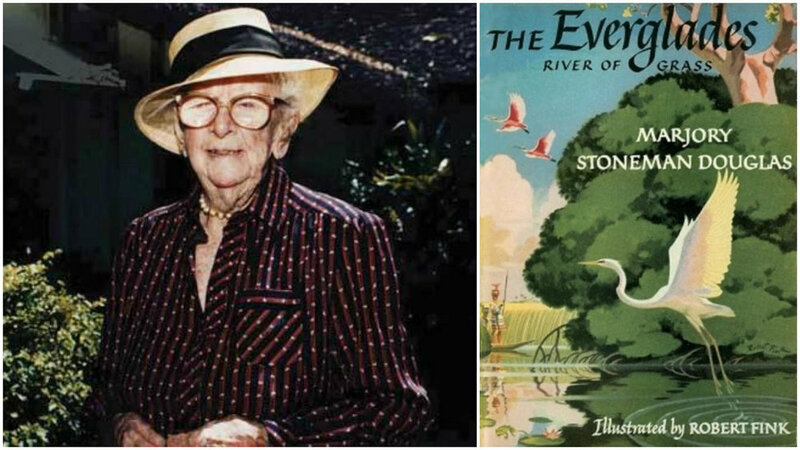 Marjory Stoneman Douglas was an American journalist, author, women's suffrage advocate, and conservationist known for her staunch defense of the Florida Everglades against efforts to drain it and reclaim land for development. Moving to Miami as a young woman to work for The Miami Herald, she became a freelance writer, producing over a hundred short stories that were published in popular magazines. Her most influential work was the book The Everglades: River of Grass (1947), which redefined the popular conception of the Everglades as a treasured river instead of a worthless swamp. Its impact has been compared to that of Rachel Carson's influential book Silent Spring (1962). Her books, stories, and journalism career brought her influence in Miami, enabling her to advance her causes. After taking a degree in English at Wellesley College, that career began in 1914 when her father set up the Herald. Marjory worked as a reporter and then society editor on the paper, and then served in Europe in the American Red Cross in the later stages of the First World War. At this time she contracted a brief, unhappy marriage that ended in 1917. At war's end she returned to the paper, becoming assistant editor, writing a daily literary column "The Galley". But in 1923 she left the Miami Herald for good to become a freelance writer. She wrote short stories with much distinction, followed in 1951 by her first novel Road to the Sun, set in the Florida of 1845, the year the state joined the Union, and later by a history of Florida and a biography of the environmentalist W.H. Hudson. But her true cause would be the saving of the Everglades - that vast tract of sub-tropical and tropical wetlands across southern Florida, commonly assumed to be a swamp, but in fact a vast, slow river up to 50 miles wide, ranging in depth between a few inches and a few feet and teeming with some of the richest and the rarest wildlife on the planet. Her paean to it was The Everglades: River of Grass, published in 1947, the year that President Truman declared 1.5 million acres of the area a protected national park. The book is a wonderful mixture of guide, history and scientific treatise which became a bestseller, based on four years of research and countless trips of exploration across the wilderness of marsh and sawgrass, To this day it is regarded as the most authoritative work on the subject. The acclaim at the time was instant: the New York Herald Tribune called it "a fabulous book of a fabulous Florida" . It was written in longhand, in the study she had built in 1928 across the street from where her father lived in the Miami district of Coconut Grove. Later she extended it into a cottage, and lived there until the day she died. Marjory Stoneman Douglas was small in stature but boundless in energy. Her eccentric ways did nothing to detract from her celebrity. She eschewed such trappings of modern life as the telephone and the car. Her white gloves and floppy hat made her instantly recognisable. But even her valiant efforts could not stop the slow degradation of the Everglades, threatened by the damming and diversion of the rivers which fed it, by pollution and urban sprawl, and by the "reclamation" of huge tracts of wetland for citrus orchards and sugar cane. No ecosystem, least of all one as complex and delicate as the Everglades, could withstand the explosive growth of 20th-century Florida. When the Stoneman family arrived, Miami was a frontier city of 5,000 inhabitants, and most of Florida a humid, disease-ridden emptiness. Today the state is the fourth most populous in the US. Today the Everglades, with its riot of flora and fauna including alligators, the Florida panther of which perhaps 30 remain, the extraordinary plant-eating sea mammal the manatee, as well as 400 species of birds and 1000 species of flowering plants, still awe the visitor. The park's mangrove forests are the largest in the western hemisphere. But despite being a World Heritage Site, the wetlands are shrinking by the day. Four million acres survive, but that is only a quarter of what there once was. The population of wading birds - including herons, egrets and the rare wood stork - has dropped by 93 per cent since the 1930s. No one was quicker to understand the danger than Marjory Stoneman Douglas, and none did more to highlight it. In 1969 she created the Friends of the Everglades organisation, to continue her fight. In 1993, at the age of 103, she received the Medal of Freedom, America's highest honour, from President Clinton. In the case of the Parkland students and Douglas herself, the apple doesn't fall far from the tree. As we celebrate Women's History Month, let us keep in mind the activism and grit of Marjory Stoneman Douglas. Let us also continue to encourage and pave the way for our new activists rising through the ranks, leaving their footprints on our hearts, minds, and history. In support of Parkland students and families, you can donate to the Stoneman Douglas Victim's Fund here. In support of the Florida Everglades and Marjory Stoneman Douglas's passion, you can donate to the Everglades Fund here. Women's history doesn't solely exist in the past. It is still very much alive and being created everyday as women across the globe break through boundaries and lead the way. In celebration of Women's History Month in March, we're highlighting 10 women still making history. 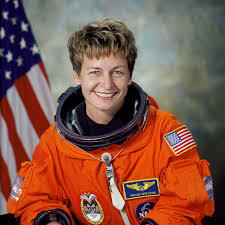 Peggy Whitson is an American biochemistry researcher, NASA astronaut and former NASA Chief Astronaut. Her first space mission was in 2002, with an extended stay aboard the International Space Station as a member of Expedition 5. Her second mission launched October 10, 2007, as the first female commander of the ISS with Expedition 16. She was on her third long-duration space flight and was the commander of the International Space Station for Expedition 51, before handing over command to Fyodor Yurchikhin on June 1, 2017. She flew on Expedition 50/51 and participated in four spacewalks, bringing her career total to ten. With a total of 665 days in space, Whitson holds the U.S. record, placing eighth on the all-time space endurance list. The Iowa native also completed two six-month tours of duty aboard the station for Expedition 5 in 2002, and as the station commander for Expedition 16 in 2008 where she accumulated 377 days in space between the two missions, the most for any U.S. woman at the time of her return to Earth. Chimamanda Ngozi Adichie is a Nigerian writer of novels, short stories, and nonfiction. In 2008 she was awarded a MacArthur Genius Grant. She was described in the Times Literary Supplement as "the most prominent" of a "procession of critically acclaimed young anglophone authors [who] is succeeding in attracting a new generation of readers to African literature". Ms. Adichie has been invited to speak around the world. Her 2009 TED Talk, The Danger of A Single Story, is now one of the top ten most-viewed TED Talks of all time. Her 2012 talk We Should All Be Feminists has a started a worldwide conversation about feminism, and was published as a book in 2014. Cristina Jiménez is Executive Director and Co-founder of United We Dream (UWD), the largest immigrant youth-led organization in the country. Cristina’s work has helped change the national conversation on immigration and create a new youth-led model of social justice organizing and movement building. Danica Roem is an American journalist and politician of the Democratic Party. In the 2017 Virginia elections she was elected to the Virginia House of Delegates, winning the Democratic primary for the 13th district on June 13, and the general election on November 7. She is the first openly transgender person to be elected to the Virginia General Assembly, and in January 2018 became the first to both be elected and serve while openly transgender in any U.S. state legislature. In December 2017 The Advocate named her as a finalist for its "Person of the Year". Once deemed "the ugliest woman in the world" Lizzie Velasquez is a global motivational speaker, anti-bullying activist, social media personality, and author. Lizzie was born with a rare syndrome. At this time there are only 2 other people in the world that are known to be living with this rare syndrome. In December 2013, she took the stage at the inaugural TEDx AustinWomen, and gave a talk titled “How Do You Define Yourself?” that has garnered over 13 million views across the web. Her story has been featured on Katie Couric, The Today Show, The View, Huffington Post, Associated Press, AOL, MSN, and Yahoo! among many other national and international media outlets. Sarah Thomas is an American football official, and is currently an official for the National Football League. Thomas was the first woman to officiate a major college football game, the first to officiate a bowl game, and the first to officiate in a Big Ten stadium. On April 8, 2015, Thomas was hired as the first full-time female official in NFL history, and for the 2017 season, she is on the officiating crew headed by referee Ronald Torbert. She was originally assigned officiating uniform number 153 (as seen in many photos), but currently Thomas is a Down Judge with the NFL officiating uniform number 53, worn in past seasons by umpire Garth DeFelice, line judge Bill Reynolds, and field judge Frank Kirkland. Mo'ne Ikea Davis is an American former Little League Baseball pitcher from Philadelphia, Pennsylvania. She was one of two girls who played in the 2014 Little League World Series and was the first girl to earn a win and to pitch a shutout in Little League World Series history. She was the 18th girl overall to play, the sixth to get a hit, and the first African-American girl to play in the Little League World Series. She was also the first Little League baseball player to appear on the cover of Sports Illustrated as a Little League player. Mariette DiChristina oversees Scientific American, ScientificAmerican.com, Scientific American Mind and all newsstand special editions. 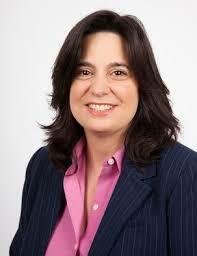 A science journalist for more than 20 years, she first came to Scientific American in 2001 as its executive editor. She is also the past president (in 2009 and 2010) of the 2,500-member National Association of Science Writers. She has been an adjunct professor in the graduate Science, Health and Environmental Reporting program at New York University for the past few years. DiChristina is a frequent lecturer and has appeared at the 92nd Street Y in New York, Yale University and New York University among many others. In 2011, DiChristina was named a Fellow of the American Association for the Advancement of Science (AAAS) for the Section on General Interest in Science and Engineering. Previously, she spent nearly 14 years at Popular Science in positions culminating as executive editor. Her work in writing and overseeing articles about space topics helped garner that magazine the Space Foundation's 2001 Douglas S. Morrow Public Outreach Award. In spring 2005, she was Science Writer in Residence at the University of Wisconsin–Madison. Her chapter on science editing appears in the second edition of A Field Guide for Science Writers. She is former chair of Science Writers in New York (2001 to 2004) and a member of the American Society of Magazine Editors and the Society of Environmental Journalists. DiChristina was honored by New York's Italian Heritage and Culture Committee in its October 2009 celebration of Galileo's contributions to science. In January 2010, she was honored by the National Organization of Italian American Women as one of its "Three Wise Women" of 2009. She has consistently ranked among the World's 100 Most Powerful Women. In 2014, she was ranked at #13 on the list of Forbes World's 100 most powerful women, and was ranked the 2nd most powerful woman on the Fortune list in 2015. In February 2018, the International Cricket Council announced that Nooyi would join the ICC Board as its first independent female director in June. Priyamvada Natarajan is a Professor in the Departments of Astronomy and Physics at Yale University. She is a theoretical astrophysicist interested in cosmology, gravitational lensing and black hole physics. Her research involves mapping the detailed distribution of dark matter in the universe exploiting the bending of light en-route to us from distant galaxies. In particular, she has focused on making dark matter maps of clusters of galaxies, the largest known repositories of dark matter. Gravitational lensing by clusters can also be utilized to constrain dark energy models and she has been developing the methodology and techniques to do so. Her work has demonstrated that cluster strong lensing offers a unique and potentially powerful laboratory to test evolving dark energy models. By this time, anyone following feminist issues (or with a pulse) is aware of the #metoo movement which began on social media and has become part of our daily lexicon. The internet has been a place where the best of humanity and the worst of humanity often share a time and attention side by side. The #metoo movement is special because it in part highlights the best of humanity (social bonding and collective support) while showcasing the worst of it (harassment and assault). What's different now? Surely, these issues have existed since the beginning of time. So why is this movement having a moment now? We could also argue that the current political climate has brought the best and the worst people out of the shadows. For every lurking, harassing abuser being pulled out of the dark there is one (or more) victims shining brightly and bravely . . . sharing their stories so hopefully, others never have to experience such things again. Not that you needed reminding, but the #metoo movement is important, telling stories is powerful, and every hashtag makes an impact. Just in case anyone asks you why this movement is important (or why it exists at all) feel free to share this with them. We get it. Not everyone knows who we are. Being a legacy organization that has been around since 1966 doesn't always mean much if you were born after say . . . 1980. Don't worry, I was one of those people. I didn't know about NOW until I was in my early twenties. I was lucky enough to spend 2 years at a wonderful women's college in the heart of Virginia's Shenandoah Valley, but prior to that, I didn't really have a "crash course" in feminism and women's history. Although the organization has been around since 1966, it's only been in my heart in mind for about 10 years and I've only been a member since January 2017. So worry not young feminists. 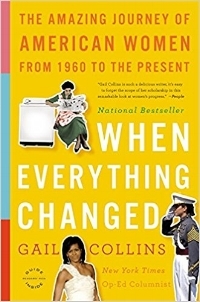 . . there's actually some really great (NOT BORING) reading that can get you the "everything you need to know" on not just NOW, but women's history and it's relevance to today's modern political climate. I'm going to keep this list short and the descriptions shorter. Just trust me on this one. Hit your local library, bookstore, or your favorite "dot com" to check out these titles. Then remember that sharing is caring and pass along to your friends. January 21st 2018 marked the one year anniversary of the inaugural Women's March. NOW members participated in the event which saw more than 5,000 women and women's advocates attendees.